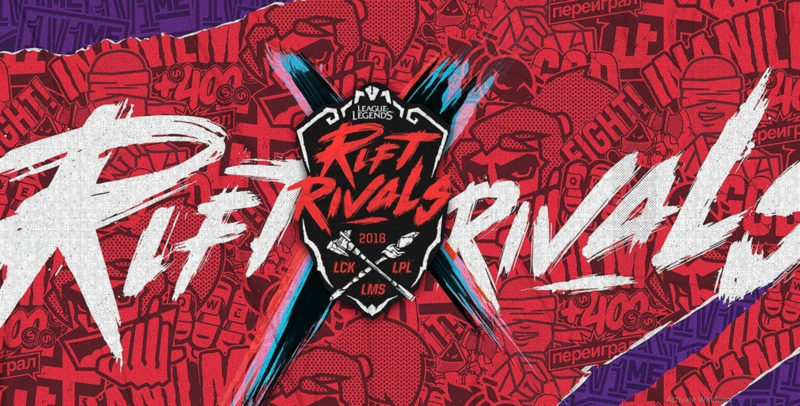 We are just days away from the sophomore Rift Rivals tournament that’s being held in Los Angeles at the NA LCS studio. But before we delve deeper into our preview, what’s at stake for the six teams that will be competing? Nothing much, realistically speaking. There is no prize pool, there are no obvious benefits other than the fact that teams get to have some practice against other top tier teams and regions. That’s nothing to scoff at, but in reality it’s highly questionalbe how much effort each and every single team will be invest seeing how they’re more focused at competing on home soil. So at the end of the day, Rift Rivals is a fight for regional pride and some serious bragging rights. This time around, we’ll be focusing exclusively on the Western clash between Europe and North America. Without any further ado, let’s take a closer look at each region and team that will be competing in order to see who has the highest chances of lifting the trophy! European teams carry quite a big chip on their shoulder ever since the inaugural Rift Rivals tournament last year. It was being held in the EU LCS studio in Berlin, and a lot of people were hyping up Europe as a surefire region to win the whole tournament – and yet it backfired completely. Not only did Europe fail to emerge victorious, but they didn’t even have a solid top tier team competing. In all fairness, the entire region was in shambles when it came to Rift Rivals. G2 eSports were in a serious slump during the first few weeks of the Summer Split, and it was arguably their worst split yet – even though they were able to pick up steam as the finals came around. They just weren’t playing that well, and their regular season win-loss record reflects that as well. Fnatic were getting hyped up beyond any logic, especially seeing how they were only barely able to rebuild after introducing Broxah and Caps to the roster. They barely ended third in Spring after beating out Misfits in the third place match. When Summer began, they were relying on just a single strategy – getting Rekkles fed through the sidelanes on Kennen or Twitch. There was no backup plan, no alternative. Other members did their job, and they were always very skilled mechanically however they were obviously a one-dimensional team. The fact that they were able to get wins with just a single strategy speaks more about Europe as a region – and how much top heavy it really is – rather than Fnatic’s playstyle and dominance. The fact that they were unable to win at Rift Rivals was somewhat expected in hindsight – they were up against the very best teams in North America, and a top tier team with a solid coaching staff shouldn’t have that much trouble taking down a one-dimensional team. Not to mention the fact that TSM, Cloud9 and Phoenix1 all had the mechanical skill that was necessary to compete at the highest possible level. And lastly there were the Unicorns of Love. They were slumping the least in general, but they were far from a strong cohesive team. They mostly focused on getting to the late game when their superb teamfighting could decide the outcome of the game. They were very inconsistent and if certain members of the team didn’t perform that well a loss would be guaranteed. This time around, things are different. Fnatic and G2 eSports are going to compete once again, however instead of the Unicorns of Love we get to see Splyce. After dominating the region in the Spring Split, Fnatic started Summer off on a mediocre note. They ended week one with a 1W-1L record, and they tried their hand at the latest trend – funneling comps. To say that they had average results would be an understatement. With Caps on Kai’Sa, Fnatic were barely able to clutch out the win against Schalke 04 after a great Baron call. They were behind in gold and objectives in both games and you could argue that they had some of the worst funneling games in the region. For week two however, they made an unexpected roster change. Instead of fielding Rekkles on support champions like Janna and Karma, they went with Bwipo instead. Solid logic all-around, why should Rekkles learn all these new mages and bruisers when Bwipo can already play them. That’s when all of a sudden Fnatic looked absolutely amazing. So we know they’re the best team in the region right now, but it’s highly questionable whether or not they want to play standard ADC team comps. They certainly didn’t look like it in the weeks leading up to Rift Rivals. So overall, they’re looking pretty good, they have a lot of tools that they can win with and individually they’re all performing at a very high level. The only problem is, if they’re starting with Bwipo then their whole team comp is telegraphed from the very get go and their opponents can draft accordingly. When we look at their stats, they rank in the top five in almost all important categories, however the real shocker comes when you see that they have the absolute worst warding stats in the entire region. They place 2.53 wards per minute on average which is well below the average and the fact that they’re dead last in the region tells that perhaps there’s an underlying problem that has yet to get fixed. They have a very solid chance of making Europe proud, and they’ll be very dangerous if they clean a couple of things when it comes to their in-game decision making. Without a doubt, the European team that has the biggest chance of causing some serious damage at Rift Rivals is G2 eSports. Now while this is built upon the immense amount of hype behind the team’s current level of play at the EU LCS, they’re still a top tier team with some incredibly talented players regardless. Without a shadow of the doubt, G2 eSports are playing the current meta at the highest possible level out of all the teams that are currently competing. According to many coaches and pros, if a team is playing the funneling team comp correctly – and they don’t make any egregious errors in the early game – they will eventually become unbeatable. Whenever G2 played the funneling strat, they completely dominated the opposition. Because of this, seeing them go up against the likes of North America – a region that hasn’t adopted the funneling strat in it’s entirety yet – will be extremely exciting. It will be a clash of style, and while North America can play standard – Europe can do bothl. The meta benefits G2 on all fronts. Wunder is no longer on tank duty, he no longer just has to frontline but he can dish out damage as well – as he should as he is arguably the best and most consistent top laner in Europe right now. Jankos showed that he can be extremely versatile as his Braum and Tahm Kench play could shame a lot of EU supports, and Perkz is as strong and mechanically dominant as he ever was, especially when you funnel the majority of the team’s gold into his hands. Finally, we come to their bottom lane. This has essentially been the best Hjarnan and Wadid looked ever since they joined the G2 roster. Hjarnan isn’t playing standard AD carries any longer and while he isn’t a bad ADC by any means, he can be a lot more impactful in the current meta when playing either mages or supports. We’ve seen his staple pocket Heimerdinger do a ton of work on the Rift, but he was very strong on Morgana and Karma as well. With Wadid by his side, they’re a very tricky duo to prepare for as they can essentially pull out any combo in the current meta and still be fairly successful. Along with Misfits, G2 has been absolutely crushing it on home soil and they’re favored at Rift Rivals with good reason. If they draft well and play like they do in Berlin, they can essentially beat any North American team. Whether or not that happens remains to be seen though. There is just one doubt. They’re almost never matched in Europe neither mechanically nor in macro. Sure Misfits and Fnatic can go toe-to-toe but they’ve built all of this momentum through beating teams that are obviously worse than they are. What happens when G2 goes up against stiffer competition? Will they still be able to accrue such big leads or will their “micro” mistakes be punished a lot harder? We’ll find out on Thursday. This is where things a bit more complicated. By all metrics – both visual and statistical – Splyce are not a top tier team right now. In fact, they’re far from it. You could really create a parallel between them and Phoenix1 from last year’s Rift Rivals as both teams were at the bottom of the standings when they went to represent their region. To put things into perspective, they have an abysmal 0.50 kill-to-death ratio, meaning that for every kill they make they give up two. That’s not good. At all. On average, when they reach the fifteen minute mark they’re already at a gold deficit (around 1.6k gold), they’re not that focused on taking objectives down nor contesting for Baron (17% control rate), and their early and mid games rank as some of the worst in the entire region. What really happened to this team in such a short time span? According to multiple team members, they just had a bad read on the meta. They’re still (re)developing team cohesion, and with the huge shifts in the meta they just weren’t fast enough to adapt. Right now, they’re at least coming in with something vaguely resembling momentum – they were able to beat both H2K and ROCCAT last week which is at least a good start, but no matter how you spin it they’re not playing at a high level right now. The question then isn’t whether or not Splyce will make Europe proud, but whether or not they’ll be able to win even a single game. In short, this is just unfortunate timing. If they had a couple of additional weeks to get back to their Spring Split form then they could have stood a chance against the three North American teams, but right now – judging by their level of play – they really don’t have any chance. They’re a great team overall, they have the right individual players, the mechanical skill and leadership – they’re just not utilizing it well enough, and they’re not playing well as a five man unit. What a strange sight to behold. No TSM, no Cloud9 and no Counter Logic Gaming. The times are a changing, and it’s a breath of fresh air. Unlike Europe, it’s really hard creating a power ranking with confidence. They have four teams tied for first – each of whom showed a lot of weaknesses over the last three weeks of competitive play, they have three teams tied for fifth all of which are capable of stepping up and beating the upper echelon, and lastly three teams at the very bottom. There isn’t really a “best” team. 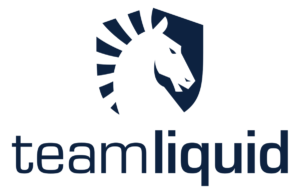 You could argue that its Team Liquid, and you’d probably be right, but even they showcased some glaring problems. Let’s focus primarily on the last week of compeptition. The Spring Split champions look as strong as they ever did. Even though they’re not exactly the epitome of consistency, they’re still an incredibly sound team, they have the fundamentals down to a tee and they’re the best that North America has to offer, without a doubt. They’re mostly playing standard ADC-centric team comps, but they also showed a lot profficiency in shutting down funneling comps. They’re all playing at an incredibly high level individually, and their shotcalling and team cohesion is nothing to scoff at. But then again, they’re not consistent. They absolutely destroyed Echo Fox in their game on Saturday last week, and then proceeded to get outmacroed by Clutch Gaming. They were passive, not willing to make the first move. Clutch, on the other hand, was all over the map. They made the proactive calls, the turret dives and Baron calls. When it came to the mid game, even though they didn’t have a big lead it was more than enough for them to engage with confidence. So just how strong they are remains to be seen. They’re without a doubt a force to be reckoned with, but how well they’ll play this week is a mystery. However, if North America is to win Rift Rivals, then Team Liquid surely has the highest chance of being the team that lifts the trophy. Next we have the second best team from Spring – 100 Thieves. They’re a completely new organization, and the fact that they’ve already established themselves as one of the premier organizations in NA is a highly commendable achievement. That said, so far over the last three weeks of competitive play they were far from dominant, and they simply didn’t instill confidence with their play, even though they’re obviously a strong team. They started off with two losses in the first week and even though they were able to get back to their winning ways and string four victories in weeks two and three, their play was far from top tier. To make matters more even worse, they sold Meteos’ contract over to FlyQuest which is a baffling move no matter how you spin it. They’re losing an experienced veteran who’s been a consistent performer ever since the Spring Split. They’re bringing over Brandini in the top lane and Levi in the jungle for Rift Rivals and while they’re two capable players – Levi in particular – they’re far from Ssumday’s and Meteos’ level and synergy. They’re essentially going to play with a weakened roster that’s also bound to have more gaps and issues in the communication department. By doing this they’re essentially telegraphing their strategy from the very get go. They tried out the funneling strategy in week three and had moderate success but they didn’t look as proficient at it you’d expect – Cody Sun failing to smite Baron was just the highlight. For 100 Thieves, this Rift Rivals is just a chance to give some of their players international experience as well as work on their synergy. With that in mind, they probably won’t tryhard too much. In short, it seems like they’re getting back to their Spring Split form, but at the same time they didn’t show a consistent level of play throughout the last three weeks, and they’re coming into Rift Rivals with Brandini and Levi instead of Ssumday and Meteos. North America’s third seed is as volatile as a team can get. With Echo Fox, you never really know what you’re going to get – and that’s one of their biggest strength. They’re all insanely talented mechanically and their “kill or be killed” playstyle is extremely fun to watch. That said, they’re wildly inconsistent. They tilt easily and they can be easy targets. Other than Huni and Dardoch, you can argue that neither Fenix, Altec nor Fang belong in the Top 3 or even Top 5 of their respective roles. That doesn’t stop them from winning more often than not. They’re currently tied for first place along with Team Liquid, 100 Thieves and Team Solo Mid with four wins and two losses each. However, they don’t look that good in general. They’ve experimented a lot with role swapping and you’ll see Dardoch on a support champion more often than not these days – they often decide to swap Fenix down to bottom lane and funnel all resources into Altec which hasn’t worked that great in general. Their bottom lane is extremely vulnerable as Fenix has zero synergy with Feng, and the holes in their game were on full display last week. 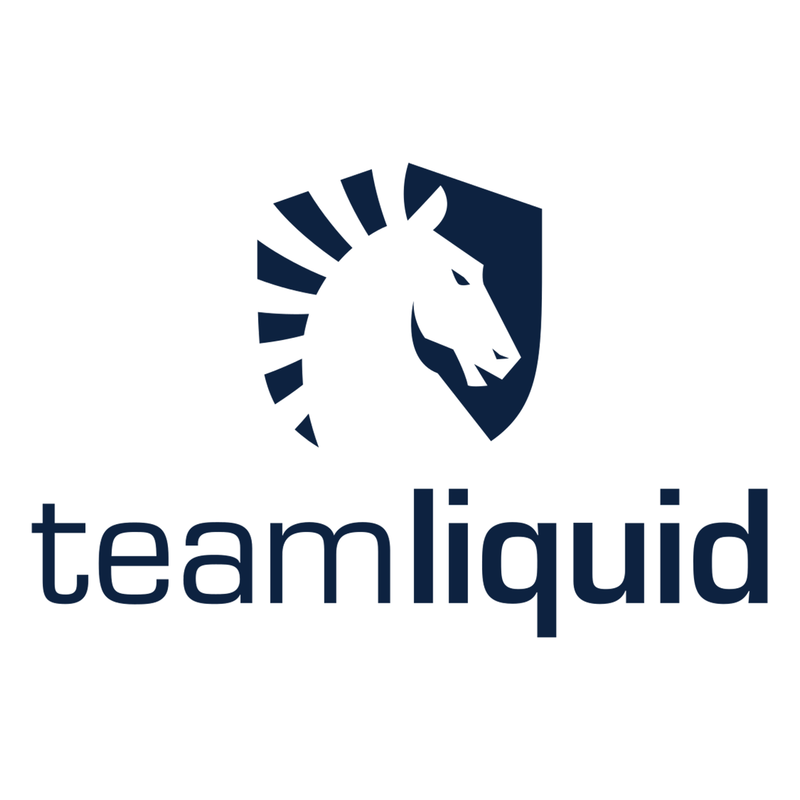 Team Liquid completely and utterly demolished them from the very get go and ended the game with 28 kills to 7. Echo Fox didn’t look any better against Cloud9 either as they were losing for the majority of the game. In short, they haven’t looked nearly as good when playing funneling team comps when compared to standard AD comps, and why they’ve been focusing on funneling almost exclusively is anyone’s guess. Huni is arguably their biggest asset, but he can tilt easily, especially if you sit his lane long enough. Experienced, top tier teams realized this fairly early on and if they invest enough resources in shutting him down he’s not the kind of player to come back through strong mental resilience. Echo Fox is the dark horse of the tournament. They could come in and do some serious damage, or they can crash and burn. They’ll surely pick up a couple of wins but they should be able to play at a consistently high level. The only problem with gauging just how strong Europe as a region right now is the fact that it’s really hard to see the two or three top tier teams get challenged on home soil. There simply isn’t any other team in the region that can compete at G2’s, Misfits’ and Fnatic’s level and that’s a problem. Sure, they can look incredible at times but the level of oposition is also to blame. Until we see the first day of Rift Rivals, it’ll be very hard to give out any concrete prediction with confidence. So which region is stronger right now? By the looks of it, Europe has the edge but ever so slightly. There’s no money on the line. There’s the prestige, and the bragging rights, but seeing how the regular season is so long and exhausting the players surely aren’t looking to tryhard. They just want to have some fun.